When a fridge or freezer is malfunctioning, it can mean all kinds of trouble for both domestic spaces and places of business alike. Whether you’re a homeowner or a restauranteur, this is something that you want to avoid at all costs. When it comes to cooling devices on the fritz, they can cause problems and annoyances like insufferable noises and large puddles of water – just to name a couple of headaches that are likely to arise when your frozen goods begin to thaw. In this sense, it’s better to get your appliances maintained at least semi-frequently throughout the year, as a means of avoiding a series of unfortunate events in your kitchen and around the house. Here are a few more specific reasons you should take care of your appliances year-round, and not just at the sight of an unwieldy device. If you’re in the business of handling and distributing food, this can mean a huge loss of profits, as well as food stock which will quickly be deemed unsafe to serve. It’s a particularly devastating occurrence for younger chefs and newly-opened restaurants, who simply can’t afford the time and loss of resources involved in a broken fridge. Luckily, when an appliance issue is time-sensitive, there will always be a dependable organization at your disposal – namely, the experts here at Toronto Refrigeration. 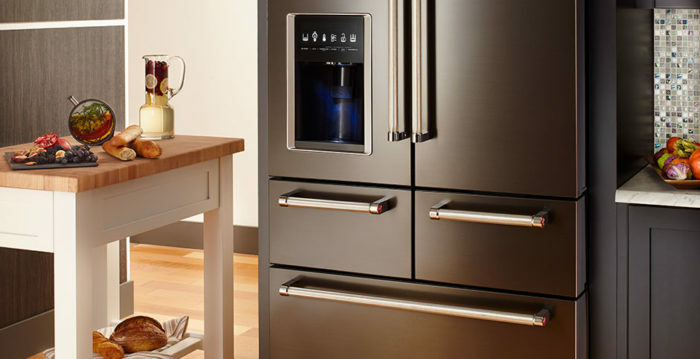 It’s been our pleasure to serve your repair needs for the past two decades, and our experienced team is available 24/7, 365 to get you the fridge repair services you so desperately need — or any other home appliance, for that matter. Not only do we offer nearly instantaneous servicing, but we also offer fair prices – by paying for a professional touch to repair your appliances, you’ll be saving a great deal of money in the long run. As Toronto appliance repair experts well acquainted with all kinds of everyday appliances, we find that we are mostly fixing devices that could’ve stayed in top-notch condition, if only the owners had taken the time to look into methods for sustainably caring for their appliances. Most meltdowns are entirely preventable, so long as minimal attention is given to the machine. Because it’s quite silly to have to overhaul entire appliances simply because of neglect, it really is time that you started paying attention to the nooks and crannies of the things you rely on each and every day. For example, freezers only need to be defrosted about twice a year, or if you notice a particularly girthy build-up of frost on the walls of the freezer. Even if your model claims to be capable of automatically defrosting, it’s important to keep a close eye on the freezer box, as this could also lead to issues with the refrigerator. Additionally, you should be sure to clean off food residue from the trays and various compartments of your fridge. Simply by taking some vinegar, combined with soap and warm water, you can wipe down most contaminants quickly and without the need for much elbow grease. For those areas that are harder to reach, you can make use of small bottle brushes or even a common toothbrush. Going forward, it’s useful to place a small box of baking soda in your refrigerating unit in order to keep it thoroughly deodorized. One of the easiest ways to service your fridge is by regularly checking the coils and ensuring that any dust or dirt build-ups are vacuumed as thoroughly as possible. Additionally, you can allow these intricate parts of your fridge a bit more breathing just by pulling the fridge a few inches away from the wall; this way the build-up won’t be as severe during the intervals between check-ins. In short, you’ll be doing a favour to yourself by being kind to your appliances and thinking ahead, instead of waiting for a panic-inducing scenario to happen. You can even be proactive and repair your air conditioner when it’s not being used during these winter months – it’s the small things that count, after all.